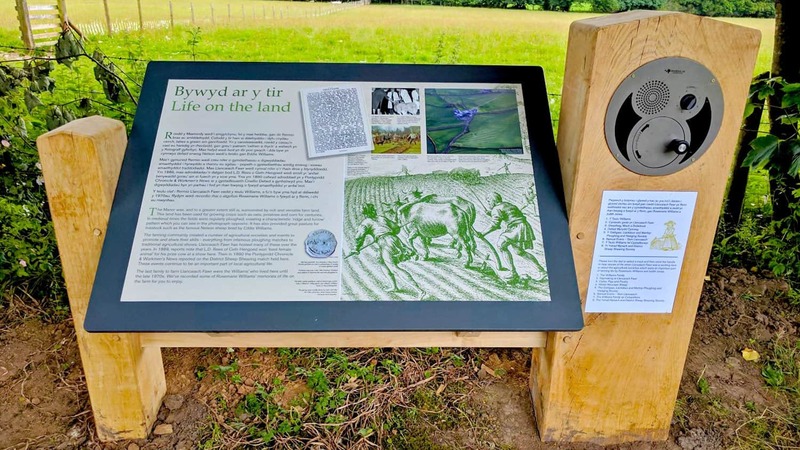 The visitor experience of the wider site has been enhanced with new exterior information panels, graphic reconstructions and audio points, which improve intellectual access and extend engagement with the whole site and its place in the landscape. For the audio points, Creative Good selected Blackbox AV’s UTR Oversized Through Panel. The UTR provides the right balance of ease of use, quality of audio and durability, and satisfied the key requirement for delivery of audio in an area where no mains electrical power was available. The client team was delighted with the outcome. Thanks to a grant from the Heritage Lottery Fund, Llancaiach Fawr Manor in Caerphilly has been able to undergo a restorative project. The Grade 1 listed manor has been around since 1550 and was home to the Pritchards, who were one of the most important and well-known Welsh families in the 16th century. As the building had fallen into disarray, work was undertaken to bring the manor back to life in various areas including the roof, the attics, new staircases and lifts to make the building more accessible. Other improvements to the Manor include a café, a shop, an education centre and a new introductory exhibition detailing the manor’s long standing history with Wales and England. Designers Creative Good were brought on board to help install a new exhibition and series of external interpretation points across the site; it was at the outdoor points where we came in. To accompany a series of signage panels our Oversized U-Turn Round was chosen to be installed within signage. Visitors are able to choose and listen to tracks from a selection delving into key points of the manor’s history including what life was like living on the manor as well as information regarding the recent restoration project, with the accompanying signage written in Welsh and English. 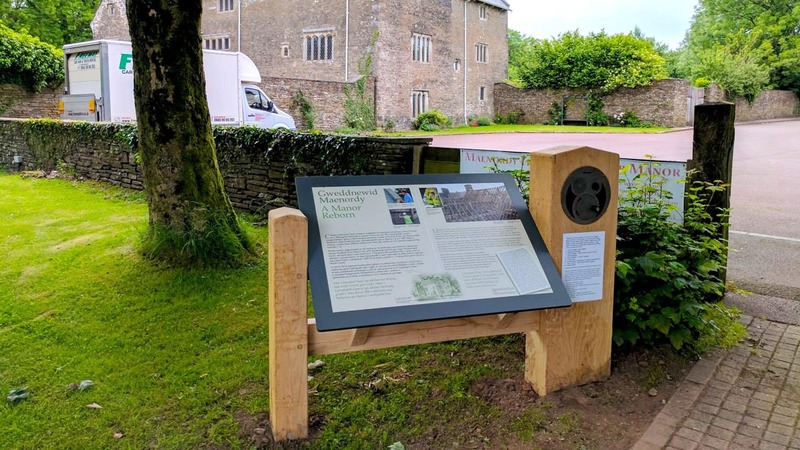 Thanks to the U-Turn Round’s outdoor capabilities, audio interpretation has been brought outside at key points in the Manor, helping to share its story whilst bringing a fun interactive element to visitors. Since the work on Llancaiach Fawr Manor was completed it has been well received with visitors with the manor’s new interpretation allowing their history to be preserved for future generations to discover.